Munich, January 31, 2019. 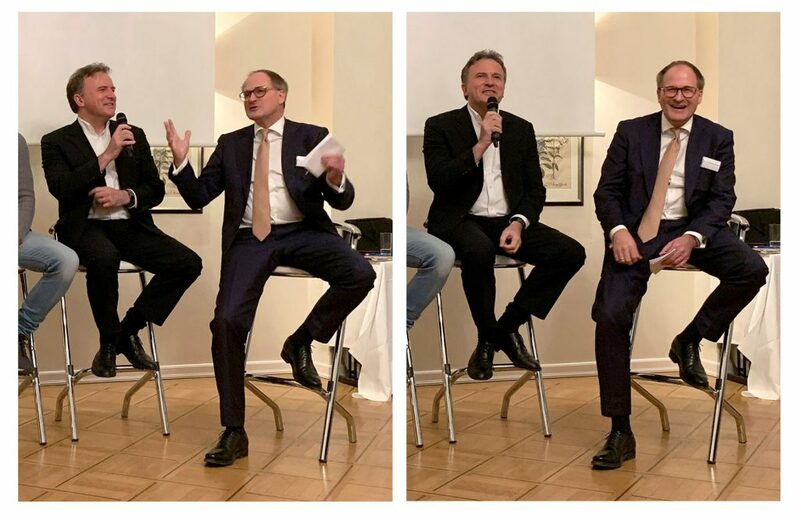 For the second time, DONNER & REUSCHEL Bank and Avestu Institute invited investors and startups to their annual “Angels’ & Investors’ Circle”. Ten startups presented short pitches, and a panel of three investors talked about their views on trends. AQAL’s co-founder and CEO Tom Schulz shared our view that more capital is getting interested in joining us in fighting climate change and addressing the other UN SDGs. We see more and more technology startups in LifeScience and Digital Health, Artificial Intelligence, and in Energy Efficiency.